Whoever runs Israeli PM Benjamin Netanyahu’s Twitter account was evidently delighted with the US’s latest ultimatum to Iran, publishing an emotional eight-tweet-long rant to prove it. Presented by US Secretary of State Mike Pompeo on Monday, Washington’s ultimatum to the Iranian government and lists 12 demands which essentially include full disarmament and self-isolation under the pains of harshest-ever economic sanctions. The leader of Israel was apparently very happy with what he heard. If you asked most of the governments and most of the leaders in the Middle East: What is the principle barrier to peace? What is the greatest threat to our security? They would say three things: Iran, Iran, and Iran. “If you asked most of the governments and most of the leaders in the Middle East: What is the principle barrier to peace? What is the greatest threat to our security? They would say three things: Iran, Iran, and Iran,” he said on Twitter. Netanyahu’s single-minded approach to Iran has been well-documented. In his view, Tehran has single-handedly prevented Israel from negotiating peace with Palestinians, armed salafist groups in Syria and Yemen, and is pretty much responsible for everything bad that happens in the Middle East. As such, the Israeli PM was eager to praise Pompeo for his latest public dressing-down of Tehran. The American position of “no enrichment,” “tough sanctions” and “get out of Syria,” Netanyahu tweeted, will prevent Iran from having nuclear weapons and will stop Tehran as it tries to fund its “conquest” of the Middle East. “Thank you, America. This is the right policy,” he tweeted, adding that total isolation and economic destruction of Iran is the “only policy” that could guarantee the security and peace in the region. 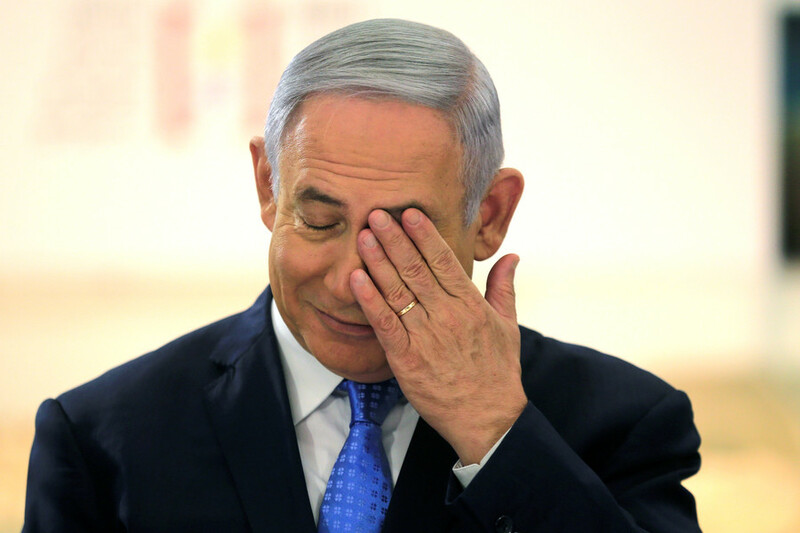 Netanyahu also made reference to his recent televised address from Tel Aviv, where he accused Iran of having lied about its nuclear program, thus invalidating the 2015 Iran deal. 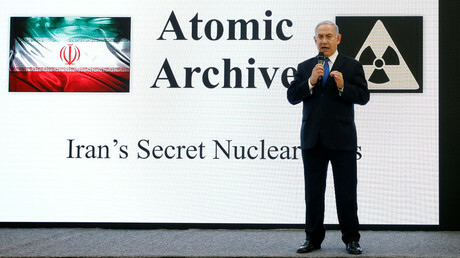 As part of the presentation, he showed slides and shelves of “100,000 secret files,” which he said proved Iran had been running a secret nuclear weapons program all along. “If Iran wanted to seek peaceful nuclear energy, Iran would need not a single centrifuge. Iran doesn’t need centrifuges for enrichment. If Iran wanted to pursue a peaceful nuclear program, Iran would not hide its secret archives for making nuclear weapons,” another tweet said. The responses to the prime minister’s twitter tirade were unsurprisingly varied. While some users thanked him for making Israel safe, others recalled how two decades ago Netanyahu was trying to convince the world that it was “Iraq, Iraq, Iraq” that posed the greatest threat to the region with its drive to develop nuclear weapons — and most will remember how that turned out. After years of appeasement, Iran will finally be dealt with by the likes of Trump and Netanyahu. And who could forget another Iraq War promoter, Senator John McCain (R-Arizona) singing "Bomb, bomb Iran" while on the 2008 campaign trail?